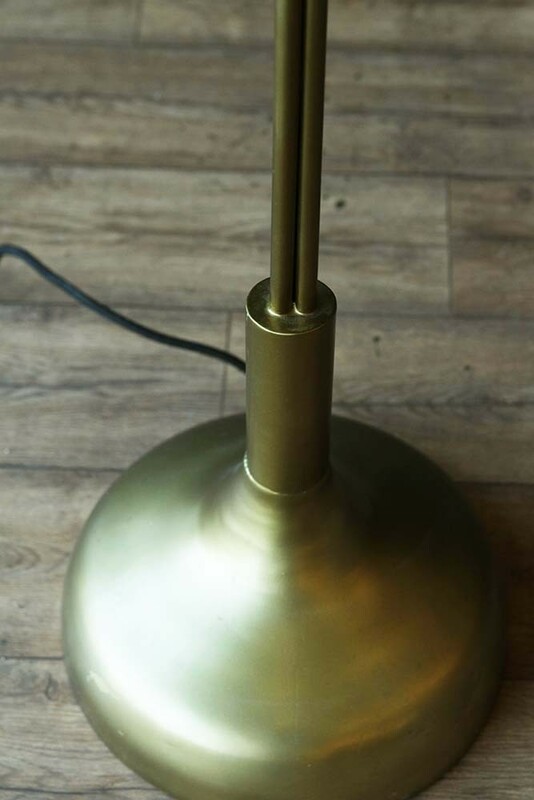 A special launch for 2018, Rockett St George have designed a new collection of fabulous floor lights to add to their in-house designs. 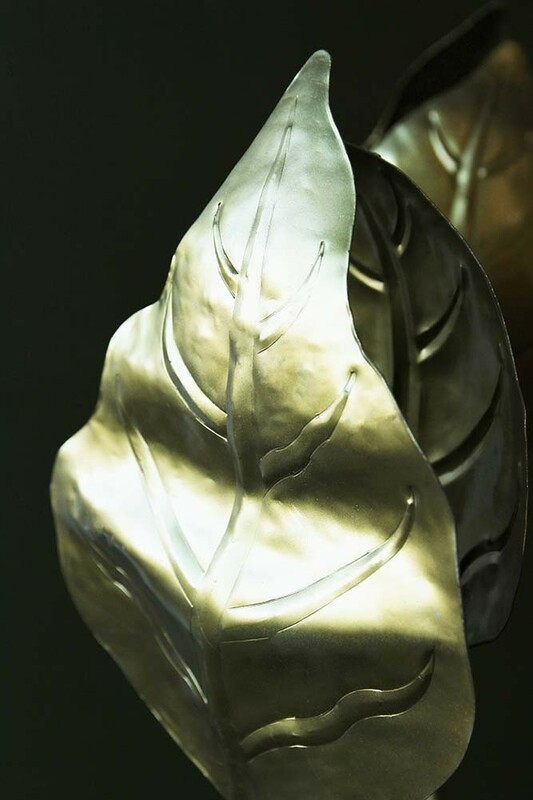 Inspired by nature, the lamps in this new collection feature beautifully handcrafted metal leaves and elegant stems that will not only add elegance and sophistication to the home, but also unique individuality. 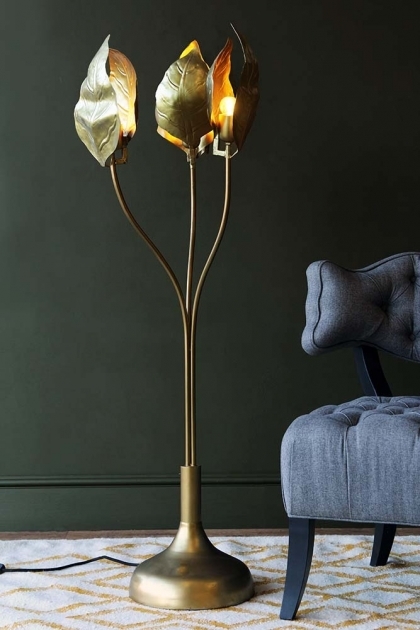 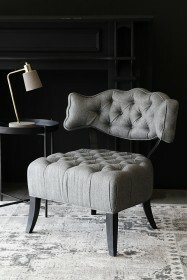 A thing of beauty, the Triple Leaf Midas Forna Floor Lamp will quite literally light up your life! 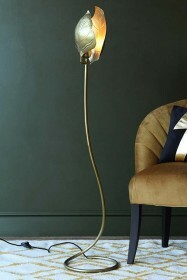 A crowd-pleaser, this unique floor light quite literally stopped us dead in our tracks when co-founders, Jane and Lucy first debuted the light at Rockett St George. 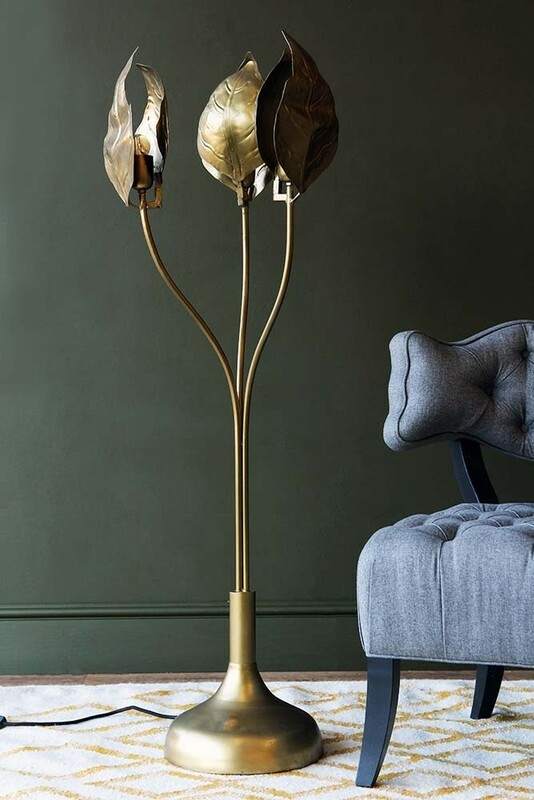 Featuring three golden leaves, with exposed light bulbs to match the Triple Leaf Midas Forna Floor Lamp will illuminate nooks, make an excellent reading light and is a brilliant alternative to overhead lighting or ceiling lights. 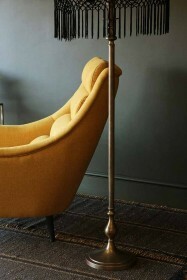 A tropical, boho themed lighting solution for the home, treat yourself to a floor lamp that is wonderfully unique and oh so spectacular! 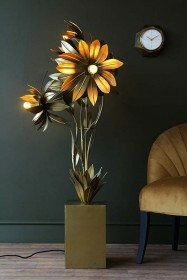 This item requires specialist courier delivery & has a delivery lead time of 2-3 weeks.